So, I am a little late with this video, but I have been busy lately. Also, my phone would not upload to YouTube properly (It took me a whole week, due to the YouTube app being stupid,) but here's the video for all to see what comes with the Mark of Mastery Edition of the new game, Kingdom Hearts 3D. Enjoy the video below, as well as some of my thoughts on this bundle. Now as to some more thoughts on the Mark of Mastery Edition. It is rare for a portable game to ever have a special edition of anything. Home console games such as XBox and Playstation games get these all the time, and they are usually packed with tons of goodies. Usually, the closest thing portable games get to a special bundle is when the game is bundled with a special edition console. (Take the upcoming Assassin's Creed 3 Vita bundle as an example, pictured below). So, with me being a Kingdom Hearts fan, plus the fact that this is a rare thing to ever happen, I HAD to buy this bundle. For $15 more (for a total of $55, minus sales tax) I had reserved the Mark of Mastery edition. Considering it was for $15 more, I would say it was worth it. You get the game which is already $40, plus you got what you saw in the video above: some artwork cards that showcased all of the cover art for every Kingdom Hearts game from the past 10 years, a pack of five rare Dream Eater AR cards (the normal version of the game only comes with three, and they are not guaranteed to be rare,) and the plastic 3DS case that features some snazzy art work. (Even though I sounded as if I was disappointed with the 3DS case in the video, it kinda has grown on me now.) Also, you get the large box to showcase to your friends that you have the special edition bundle for the game. 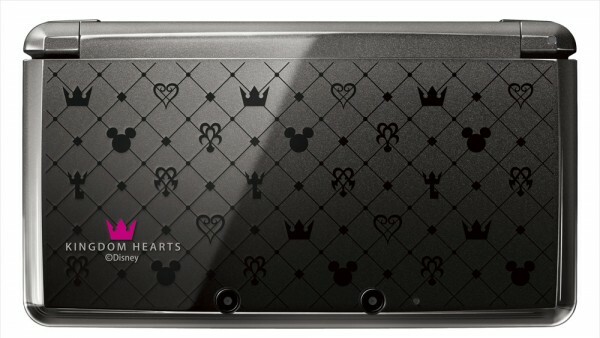 It certainly is not a special edition 3DS, but it is not something for the fans who stuck with the series for such a long time. Why does Japan get all the good stuff? So, this then leads me to ask the readers of this article to answer this question: Do you think that more games should do special edition bundles for their games, and for what games would you like the see a special edition made for? What would you like in these bundles? So, let us hear what you all have to say.